Our ultra-strong, cloth-backed tape with porous adhesive permits the release of perspiration yet still supports knees, ankles and wrists. For athletic purposes, the most popular sizes are the 1 -+" and 2" widths. Porous, bleached athletic trainer's tape. Porous, adhesive mass allows skin to breathe. 100% cotton/zinc oxide adhesive. 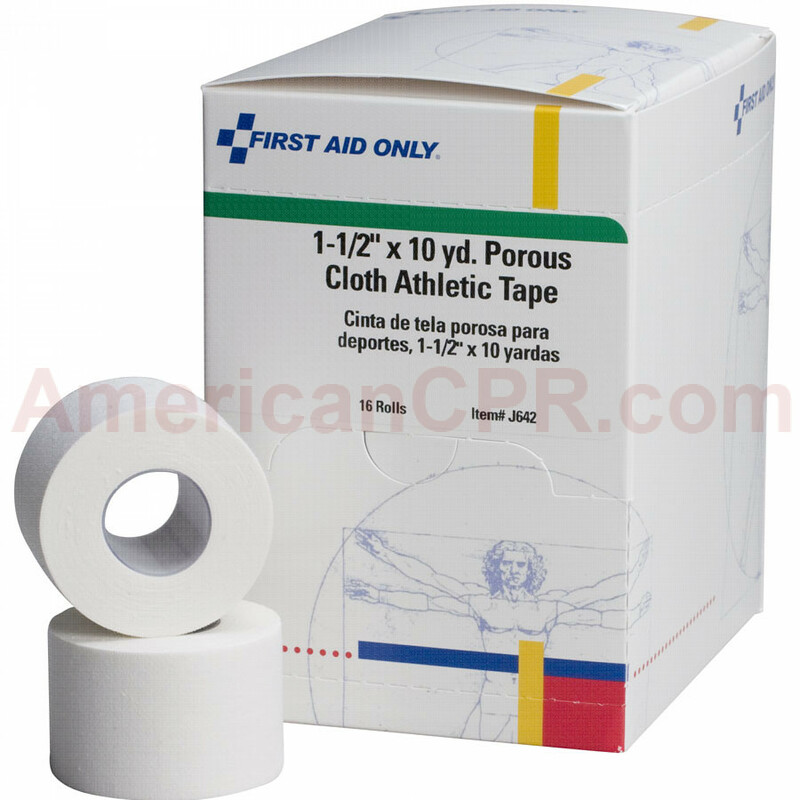 Athletic Tape - Porous Cloth 1-1/2" x 10 yd. - 16 Per Box - First Aid Only.